Innovations in science and technology have enabled scientists to create pharmaceuticals, pharma foods, and cosmetics that offer advantages over those existing just a few years ago, as well as therapies to treat formerly untreatable diseases. These require the creation of ever more complex Active Pharmaceutical Ingredients (APIs), a challenge that always begins with the chemistry and can be best met by broadening the expertise a company has available and the opportunities for collaboration. To help meet these challenges, Seqens, a billion-dollar global player in pharmaceutical synthesis and specialty ingredients, acquired US-based CDMO PCI Synthesis. Winner of numerous industry awards, including 24 Life Science Leader CMO Awards, PCI Synthesis is the first US acquisition by Seqens as it expands its geographic scope, complex molecule development range, and its services. Ed Price, President and CEO of PCI Synthesis, is Co-President of the New England CRO/CMO Council and sits on the Board of Governors of the Society of Chemical Manufacturers and Affiliates (SOCMA), the leading US-based trade association representing the specialty chemical industry. Drug Development & Delivery recently spoke with him to reflect on the trends fostering the CDMO industry consolidation and the positive impact it augurs in addressing sponsors’ needs to enter the clinic more quickly and safely. Q: What are the major reasons the CDMO sector is seeing greater consolidation? A: There has been a great deal of growth in the CDMO sector in the past few years as evidenced by our own annual double-digit growth in the past 5 years, which included being ranked on the Inc 5000 list of fastest-growing privately held companies. Several trends are driving this growth. First and foremost, the number of new molecules being developed continues to grow as pharma companies seek to develop new drugs. The major beneficiaries of this trend are US-based CDMOs, for two reasons. First, there is concern about quality issues in India and China that could delay regulatory approval. Second, the industry continues to worry about IP protection, particularly in China. The value of incorporating Good Manufacturing Practices (GMP) is increasingly being sought by developers of pharma foods too. In contrast to nutraceuticals, which are unregulated, pharma foods include a pharmacological additive that is intended to improve health. Consequently, just like drug candidates, pharma foods undergo clinical testing and must meet FDA guidelines, which is why companies developing pharma foods need GMP. Some expect pharma foods to be the next frontier. We have certainly seen growth in this area. Demand for medical-grade polymers is also heating up. From novel drug delivery systems to new materials for ophthalmic applications, medical-grade polymers are being used in a range of different applications. We expect demand to continue to grow along with increased use and as new science continues to push the frontiers of what’s possible. Finally, larger companies, such as Seqens, are seeking to fill gaps in their products and services by acquiring US companies that are known to do these things well. Generally speaking, CDMOs with proven track records tend to be of interest to larger players. Q: What other challenges are driving M&A in the sector? A: Given the strong US economy with its attendant labor shortages, attracting and keeping talented employees remains a challenge for the industry. Even in pharma and biotech hub Massachusetts, where PCI Synthesis is located and where academic institutions abound, labor shortages are projected. The industry is expected to attempt to fill 11,600 new jobs by 2022, with bio manufacturing jobs seeing a 32% increase over 2016 levels. Despite the fact that Massachusetts and various industry associations are heavily promoting STEM majors, that’s not enough to ensure these jobs can be filled. This is another reason M&A is expected to remain strong. In addition to adding products and services, acquisition of smaller CDMOs provides a pool of talented, trained professionals. On the flip side, for PCI Synthesis, there are also many advantages to consolidation. As business continues to grow, there is a limit to our capacity. This applies not just to manufacturing but also to developing New Chemical Entities (NCEs), supporting projects, and analytical work. These are all in short supply. Being acquired provides us with the added capacity we need as well as multi-site manufacturing capabilities that ensure a project’s timeliness should an unanticipated event occur. For instance, last year’s hurricane endangered production of several drugs manufactured in Puerto Rico. The hurricane-ravaged island, whose 80 plants manufacture medical devices and 13 of the world’s top-selling and most critical pharmaceuticals to treat cancer, diabetes, and heart disease, was beset by shortage of diesel fuel for the generators needed to keep manufacturing plants running when the electricity went out. Q: What should drug developers consider in looking for CDMOs now as compared with just a few years ago? Solid track record of meeting regulatory guidelines. I would stress the need for strong analytical capabilities to avoid regulatory issues that can slow a project down. That can keep a drug candidate from getting into the clinic in a timely fashion and break the budget. Q: How will access to other Seqens facilities and capabilities provide more benefits to PCI’s customers? A: First and foremost, Seqens has tremendous capacity at their 12 GMP sites, multiple R&D centers, and comprehensive range of services and technologies dedicated to clinical development and commercial manufacturing. Our customers can now easily leverage multi-site, geographically dispersed manufacturing to be closer to certain markets or mitigate the risk of natural or manmade disasters. They will have access to additional technologies, such as high-pressure chemistry, sophisticated solid-state chemistry, and the most advanced GMP manufacturing. They will have the benefit of deep experience in many more types of chemistry that will be useful in more quickly resolving any problems that arise. Q: How does establishing a larger US presence impact Seqens? A: The US is the largest pharmaceutical market in the world. Doing business in the US is coveted by many international CDMOs. Although Seqens has facilities in Europe and Asia, many of their customers are in the US. Being located here will bring Seqens into closer proximity to customers, making it easier to communicate to keep projects moving as swiftly as is possible when meeting the challenge of creating new chemistry. Seqens also gains manufacturing facilities in the US, which it does not presently have. Q: What about PCI Synthesis did Seqens find attractive? A: Seqens was looking to expand its US business and needed a presence here. But the company was also looking for complementary capabilities. Whereas Seqens projects tend be later stage with customers, PCI Synthesis adds a focus on earlier stage, preclinical projects that are complementary. In addition, we provide infrastructure in the US with medium manufacturing capacity. We also provide a strong brand with our US customer base. Overall, I believe they also saw us as an industry leader in the US in this sector and perhaps even as a model to emulate in managing other internal programs. Q: What is Seqens’s strategy going forward? A: Seqens is committed to the US, which is why it acquired PCI Synthesis. 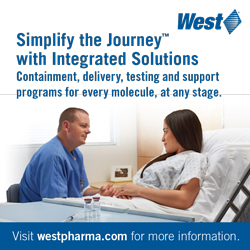 The combined entity is truly a best-in-class, worldwide CDMO offering to the pharma sector. There is a significant commitment to continue to expand PCI’s capabilities and to continue to grow the business by making additional complementary strategic investments in the future.